Billy here. When we left the high desert of the Zuni Mountains to embark on a road trip to the Great Lakes, I had no idea that I would be at my Gramma’s bedside for the last week of her life instead of driving across the country. I had dreamed the night before we set forth that Spence and I were driving and we literally hit a brick wall. We laughed about it, thinking we had already hit it, with what felt like our breakneck speed in life all year. But we soon left the thought behind as we made miles with our jeep packed for an adventure of indefinite length. We took what we could possibly fit: the camp kitchen, the guitars, a couple of crates of books, a suitcase of art supplies. The rest we left behind, ready to find something new and watery. 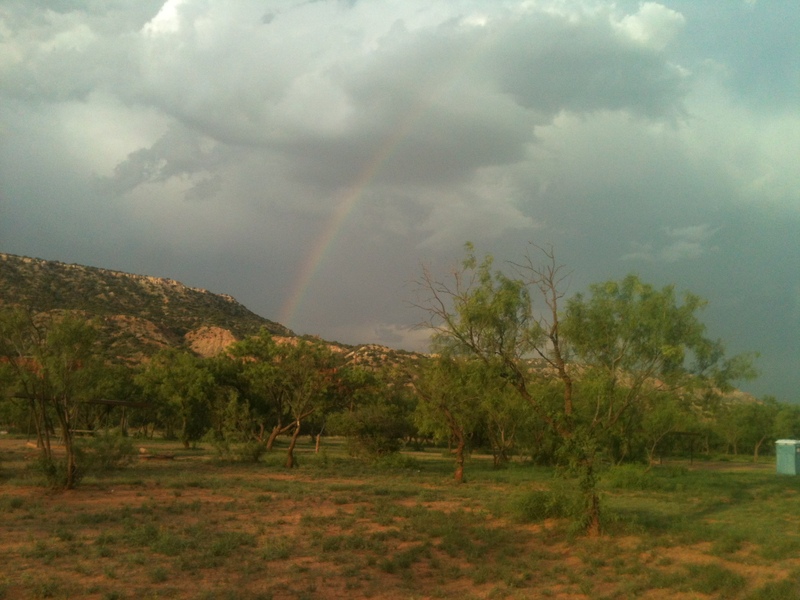 We reached Palo Duro Canyon, the “Grand Canyon of Texas” and pitched camp. A thunderstorm soon swept in and kept us up well after the fireworks finale of “Texas” the Musical at the park’s amphitheater. We rejoiced with the storm, for it was the first real rain we had heard in months, even though we hardly slept. The next morning we drove up out of the canyon and as cell phone service returned I received word that the woman I know and love as grandmother Sara, who lives with my mother just north of Dallas, was not doing well. My mother seemed concerned but calm. Sara was 102 years old and there have been previous time periods of uncertainty about how much longer she would live only to be followed by a lively spring back into life. We ended the call with a a decision to keep going as normal and she wished me good luck on the trip to Michigan. But as we approached the Texas border into Oklahoma, I couldn’t shake the feeling that I was going a direction I would regret. I couldn’t bear the thought that my Gramma could be actually dying this time, and while I was passing through the state only hours away. This woman had raised my mother and cared for us even though she was not related to us. She had always been kind and loving. I remembered over Yule feeling that my visit then would be the last time I would see her. I became overwhelmed with grief in the car and wept. I called my mother back and told her we were coming home. Through more rain we made it to Denton before dinner. As soon as I laid eyes on Gramma Sara I knew that I would stay with her until she was gone, for I knew it would not be long. She held my hand and reached for me, but she was already departing. In a sense, I had truly seen the last of her over Winter Solstice. She kissed me on the cheek but her eyes were milky and distant as the stars. Her skin was as soft and delicate as tissue paper. She was done speaking, seeing, hearing and eating. Soon she stopped drinking water. We slept in the room next to her and could hear her coughing and moaning. She seemed to be pleading and bargaining, frightened to let go just yet. We arranged the arrival of my siblings, but it would take a few days for them all to get here around work schedules. Hearing her confused wailing, a state of altered consciousness, was the hardest part. She was not in pain, but stepping onto this Rainbow Bridge to the spirit realm was doubtlessly taking great courage, as much as leaping into outer space. There is so much resistance in Western culture to in-between, unquantifiable states such as stepping over the threshold of death that we are not taught how to make the journey. But it is exactly these states that bring us to who we are, merely vibrating energy so complex we seem opaque and solid. But we are the veils that cover the Big Bang. Some of us are more translucent than others or at certain times and we think of the light that is coming from these people as belonging to them, but it is the glow of the cosmos shining through them. The doorways and twilights are places and times we see that light shining through. I felt the love of my friends and family: we were all there for each other, making feasts and toasts. My best friend brought sweet potato pie and enchiladas and love limitless. My closest friends showed themselves to be closer. I was sitting on Gramma’s heart side when her body gave out and she took her last breath. My mother and younger siblings wept around me, but I felt a lightness. 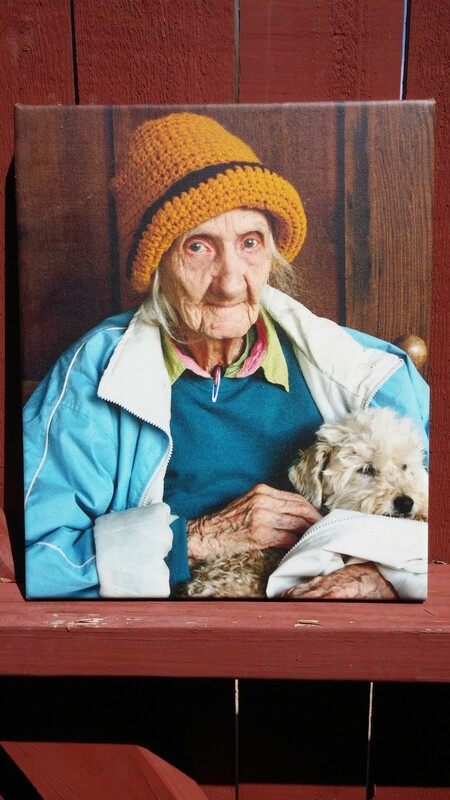 Gramma was free and timeless. I saw her as she looked in the old photographs with bright red lipstick, dancing around the with the love of her life, Gus Kapitansky, who died from an injury in the Battle of the Bulge. She had already let go perhaps hours ago and her body was only breathing from memory. Sara Jackson Lavender was born in Groom, Texas on May 18, 1912 to Lavencie Jackson and Flaura Pennington. Born at home with a stillborn twin and weighing only two pounds, she was kept alive in the breadwarmer oven. Lavincie was a Methodist circuit riding preacher on the horse and buggy and Flaura was a writer. Sara went on to complete a bachelor’s in art at Normal College, now called the University of North Texas, in 1939 during the Great Depression. She took the highest paying job she could find teaching at the Gulf Oil Camp in Pyote, Texas, which later became the Rattlesnake Bomber Base, where Enola Gay was harbored after dropping the bomb on Hiroshima. She taught double sessions in first grade, which included hunting for scrap metal with the class for the military’s use. She also worked on the base as a courier shuttling officers on a motor scooter with a sidecar. She was G.S.O. “Girl of the Month” in April 1948 for her active work volunteering in the army hospital, hostessing dances and teaching english to foreign brides to servicemen. She had as many dates as she wished with pilots every week, but the one she loved, Gus Kapitansky, was injured in the Battle of the Bulge and she was referred from one hospital to the next without success and never found him again in life. She taught first grade and special ed in El Paso for 35 years. In 1964 she met the 3 year old Caranina, whom she later adopted and raised as her her own child. She married Ernest Lavender in 1982, but he passed in 1985. She was preceded in death by her sibliings John Paul and Martha. She is survived by niece Marsha Jarvill, daughter Caranina Lavender, grandchildren Shannon, Billy, Angel, Ariel, Nicholas and Niechele. If your people did not die, the world would fill up and there would be no place for you to live. When you die, you will come back to Shipap to live with me. Keep on traveling and do not be troubled when your people die. Spence here: I feel honored to have met Gramma Sara on two other occasions, and even more honored to be there with her and the rest of the family during her journey! Having never sat with someone who was dying, I felt it was a unique time to learn more about her and the ways in which death is like traveling to somewhere else, unknown. Gratefully, I visit “ghosts”, “spirits”, “others” who have passed over, in my dreams, which is something I don’t talk about openly with people. These recurring visits happen while I am supposedly sleeping. They have been happening since I was a child. I often go to where they “live”, and visit for most of the night. While sitting with Sara, holding her hand, I had an overwhelming feeling of calm, knowing that I would be able to get to know her better later, through our visits in my dreams. I look forward to visiting her when the time comes. I don’t believe relationships are a one time event, or that they necessarily follow a linear time signature. The same people we know have been in our lives many times over. I really appreciated all the love and support of Billy’s friends and family. I was so glad we were able to be there. The tracks of our ancestors have been wiped away by the Great Forgetting. It’s not up to us to replant their exact footprints, but to make our own, equally original tracks. 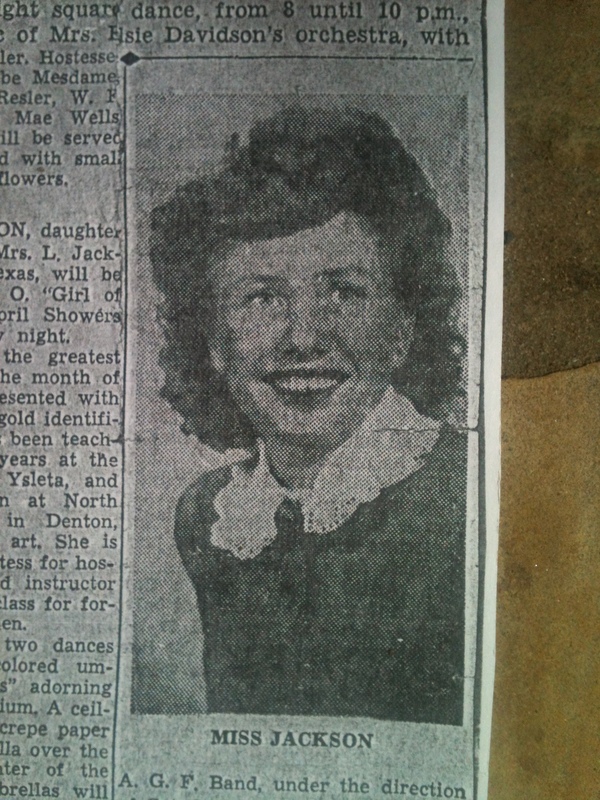 This entry was posted in Photography, Writing and tagged death and dying, Denton, family, Musings, Texas, University of North Texas, vintage photographs, women of World War II. Bookmark the permalink.